Sam looked at Wendy in surprise. She’d been on a diet kick for some time and it was forbidden to use the “C” word in front of her since that phase of her life commenced. Being an average male Sam looked at her warily. Was this a trap, some kind of test to see if he’d break the unmentionable “C” taboo? When men have been married for several years they’re conditioned to tread warily around taboos. Sam hesitated to elaborate, but he was aware of “The Rules.” For those men who are uninitiated, and in their inexperience inclined to treat this as a humorous posting, watch out! The Rules are the rules! Valentine’s Day is one of those days Sam carefully squirreled away in every form of reminder available to him. The cell phone coughed out its annual warning well in advance of the day. His Yahoo reminder flashed little warnings up on the screen to prompt him, and an alert was built into his pocket computer. Just to make sure his electronic rescuers didn’t let him down, the big calendar by his desk smiled a happy heart at him as a backup on Valentine’s Day. Sam grew up with the belief that St Valentine’s Day; the traditional day on which lovers express their love for each other was named in honor of a Saint. Actually there were two Christian martyrs named Valentine so you can take your pick. Far more prominent historically than any of the Saint Valentines is Valentinius of Alexandria (100-153 CE) He was an influential Gnostic teacher whose teachings made the marriage bed a central place in his version of Christian love. This sharply contrasted with the asceticism of mainstream Christianity. Digging a little deeper Sam was surprised to learn the celebration on February 14 we now acknowledge as Valentine’s Day was the day Roman goddess Juno was facilitated. The February celebration also paid tribute to Vali, god of eternal light often represented and worshipped as an archer. 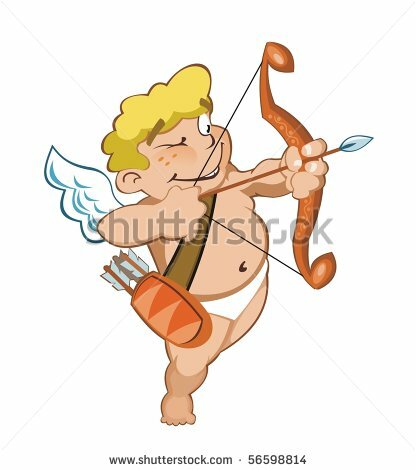 Shades of Cupid? The first recorded association of Valentine’s Day with romantic love was contained in Parlement of Foules (1382) by Geoffrey Chaucer. This was the earliest known link between Valentine’s Day and romance. Using the language of law courts for the rituals of courtly love, a High Court of Love was established in Paris on Valentine’s Day in 1400. The court dealt with love contracts, betrayals, and violence against women. Judges were selected by women on the basis of a poetry reading. The earliest surviving valentine dated from 1415. It was a poem written by Charles, Duke of Orleans to his wife. At the time, the duke was being held in the Tower of London following his capture at the Battle of Agincourt. • During a ban on marriages of Roman soldiers by the Emperor Cladius II, St Valentine secretly helped arrange marriages. Valentine’s Day was mentioned by the character Ophelia in Hamlet: Tomorrow is Saint Valentine’s Day. Sam now armed with this knowledge decided Valentine’s Day would not be complete without the roses, chocolates and jewelry to complement traditional Val Day greetings to a lover. Sam has some advice to all men. Pay careful attention to those TV commercials, shopping mall advertisements, and the newspaper ads desperately looking for your dollars? Oh, and the junk mail delivered to your mail boxes disguised as official looking letters too. You have? Couldn’t miss them? Then you’re safe for the present, provided you follow through and provide your lover with all the goodies suggested. What if you haven’t noticed? Forget that relationship, you’ve blown your chance with your true love. NB. For an interesting commentary on St Valentine’s Day check out Wikipedia the free encyclopedia on the internet. Thanks for taking the trouble to read this post. I enjoy writing and prefer to see life as fun in spite of the pin pricks one has to endure in life. Thanks for sharing! This is interesting, Ian. You’re welcome. I hope you enjoy the rest of my stories, poems and mini-novels too. History is always better, at least then we know why we do a thing. I agree with you. It is quite interesting to look into the origins of things we do without really thinking about how the custom started. You are welcome Yoshiko. Enjoy your life in beautiful Singapore this week. Very good background information about Valentine’s Day. I recall reading some of it before – but always nice to have a refresh. The internet contains a wealth of knowledge on just about any subject Eric. I can usually rely on Wikipedia. Best regards.